I like the peace and quiet here. The neighbors seem friendly and I love my view from my balcony. Moving here has been a great experience so far. Hi there Hector! The view is only going to get better now that Spring is here! We are happy to hear that you are enjoying your time at Prairie Hills. Let us know if there is anything we can do to make your experience even better! Great place to live!!! Very Quiet!!! Not Ghetto-like, at all!!! Garden area is awesome and the pool is wonderful!! Friendly neighbors and relaxing courtyard! Hello Denise! Thank you for taking the time to leave us such a wonderful review! Your kind words mean so much to our team. Have a great day! I love living here. It's peaceful and close to everything while still being secluded. The only thing to complain about is the noisy neighbors. Hello Cambria! We are happy that you love living here, but we are sorry to hear that you are not completely satisfied with your experience. Please reach out to the office at (509) 464-0557 so that we can help resolve any problems you may be having! Only week #2 so far for the most part it's been good. Couple things I think will see hopefully overtime be taken serious. Do appreciate the news letter. Sharaya, thank you for taking the time to let us know about your recent experience. We are disappointed to hear that you are not completely satisfied. Please reach out to us at (509) 464-0557 when you can so we can address this situation directly. Thank you and have a great day. Very nice apartments, the area is very quiet and so far there has been no complaints or anything wrong with management, they are always very helpful. Hi Perla! We really appreciate your positive review! We're glad to hear we delivered a great experience. If there's anything further we can do for you, we are happy to help! So far so good . Much quieter than I thought it would be for an apartment complex. Love having a garage to park my car in when the weather is going to be questionable. Hello Grant! We appreciate you taking the time to leave us this feedback. If you ever need anything else from us, please feel free to give us a call or stop by. Have an awesome day! Jeffery, thank you for your kind words and this wonderful review! Feel free to reach out to us if you need anything. Have a wonderful day. Friendly staff and community. Nice amenities in and out of the apartment. Spacious apartments with garages. Maintenance team is awesome. Great location. Hi Timothy! Thank you so much for your positive comments about Prairie Hills. If there's anything further we can do for you, we are happy to help! So far I like the complex. Can't wait until the pool is open. I'm really excited to meet some of my neighbors and get to know people. Should be a great summer. Hi Shawn! We're excited to hear about your positive experience thus far. Stay tuned for upcoming resident events and opportunities to take advantage of our amenities! The living quarters are nice but they rip you off with damages to be paid at the end and the mailing system gets screwed up sometimes with packages not being delivered when they say they are. Hello Alyssandra! We are sorry to hear that you are not completely satisfied with your residency here at Prairie Hills. If there is anything that you would like to discuss specifically, please call our office at (509) 464-0557. I have a great view from my location in the complex. The apartment is comfortable and the grounds are pretty clean. The office associates are always welcoming and friendly. Thank you for taking the time to let us know about your experience! We hope you have a great day! This community has exceeded my expectations. Everyone is super nice and helpful. Everything is super awesome and clean I love everything about the place and everyone is very nice. Thank you so much for your positive comments about Prairie Hills! We're looking forward to your next visit with us! Hey Ezra! Reviews like this give us motivation and help us ensure we provide high-quality care. Safety ..friendly..beautiful community...clean area..I recommended choice of the apartment..neighbors so nice people and managers always help me with any questions..
Hello Yelena! Thank you so much for the positive review! If you're ever in need of more help, please let us know! Five stars because I have had an amazing experience at every single thing about these apartments. They are absolutely fantastic and very happy to help everyone. They make living in the community fun. Hi Ezra! We are very happy to have provided you with such a positive experience! We do hope we can be of assistance in the future. Take care! We have had nothing but good experiences working with the prairie hills staff. The property is always clean and well cared for and we have enjoyed living here. Madison, we strive for 100% satisfaction, and it is great to see you had such a positive experience at Prairie Hills! Everyone is Very Friendly here and The Staff is Always There to Greet You and help when ever I go to the office and or Call!!! I Feel Very Safe Here and No Crime here in the Community so that's Great and Love when I've Seen the Patrol car here checking at Night!!! Very Well Taken Care Of!!!! Thank You Prairie Hills Apartments!!!! Hi Kanisha! We sincerely thank you for the positive review, and look forward to seeing you again soon! Great location on spokans northised but i feel the enforcement of rules needs to be improved in regards to pets, parking and messes/clutter. Hi Chris, thank you for taking the time to let us know about your recent experience. We are disappointed to hear that you are not completely satisfied. Thanks for bringing this matter to our attention. If there is anything specific that you would like to bring to our attention, please call our office at (509) 464-0557. Hi Jeffery! We are very happy to have provided you with such a positive experience! If you ever need anything else from us, please feel free to give us a call or stop by. Have an awesome day! Parking could be better, but also could be a whole lot worse too. Love the size of the units and that the office is easy to talk to and wants to help. Thanks Tayler! We are taking steps to improve parking, but if there are ever any specific vehicles that are improperly parked please reach out to us and we will deal with them promptly. Overall a great experience! The only thing would be better maintenance of parking lot in snow and ice. Walk ways have been clear for the most part, but walking through the parking lot to get to your car can be very slippery. 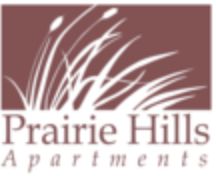 As a new resident of Prairie Hills, I am impressed by the friendly staff, the clean facilities, and how it is an apartment complex that feels like it can easily become a new home. I am very happy to be here! We have quiet living here at Prairie Hills. Our office staff are friendly and efficient. They are always asking for other ways to make my living at PH better! The maintainance staff are always friendly and prompt with response to my maintenance needs! All in all this is a nice place to live!